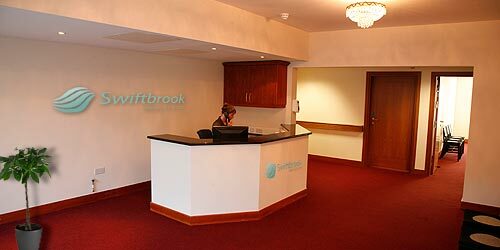 Swiftbrook Medical Centre, GP Surgery, Doctors Clinic, General Practice Doctor, GPs, Citywest, Saggart, Brittas, Rathcoole, Newcastle, Tallaght, Dublin 24, Co. Dublin, Ireland. - Swiftbrook Medical Centre, GP Surgery, Doctors Clinic, General Practice Doctor, GPs, Citywest, Saggart, Brittas, Rathcoole, Newcastle, Tallaght, Dublin 24, Co. Dublin, Ireland. GP Surgery - serving the communities of Citywest, Saggart, Rathcoole, Tallaght and surrounding areas. Swiftbrook Medical Centre opened in September 2010. We are committed to providing the highest quality medical care for our patients, and offer the full range of GP services. We are located at the TLC Centre, off Fortunestown Lane in Citywest, just beside the Luas line. Patients are welcome - Doctor Visit Card - Private patients - Under 6's. Unfortunately we are currently unable to take on all medical card (GMS) patients applying to us - a waiting list is in operation. Please browse our website to view our full range of services, and find out more about us. Please contact the surgery if you require further information, or would like to register. Dr. Brian Blake and Dr. Aisling Ní Shúilleabháin. Surgery opening hours are broadly 9am - 1pm and 2 - 5pm. Closed for lunch 1 - 2pm. Early morning, late evening, and lunchtime appointments are available (see Services section). cases can usually be accommodated at short notice, but please ring in advance.